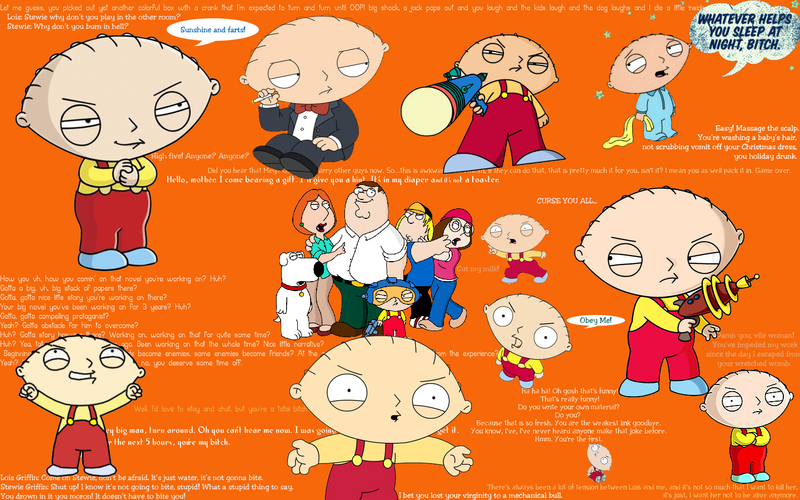 Stewie wallpaper w/quotes. . HD Wallpaper and background images in the family guy club tagged: family guy stewie guy family quote. This family guy wallpaper might contain anime, komik, manga, and kartun. I like Stewie Griffin, I love how hes evil!! Family Guy - The Best tampil on TV! !